I stumbled across this little Vietnamese Cafe a while ago. Funny thing is, I drive past it on the way to work everyday! It’s a very unassuming cafe, as often Vietnamese places can be. It’s in Kangaroo Point, near the KFC on the same side of the road. There’s parking at the back too which is convenient. 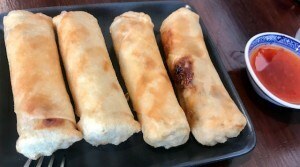 We shared vegetable spring rolls to start – yumm! They were very generous portions and full of flavour. They were so big that I actually only had one so that I could enjoy my pho too. 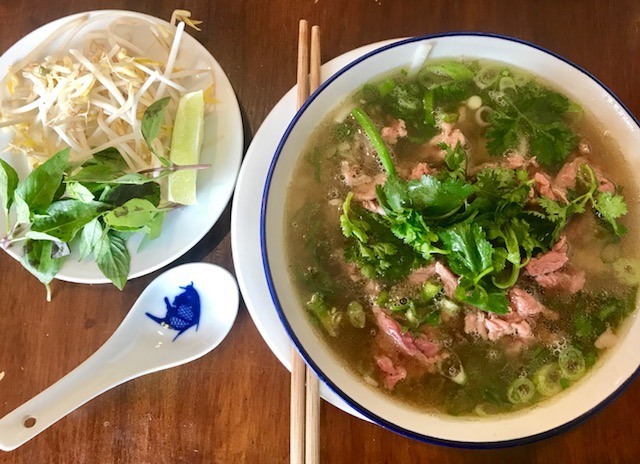 I’ve visited An Cafe before and the pho was great then too. My only issue then was that the meat had quite a bit of gristle in it which I didn’t enjoy. This meal too, the pho was great (rich broth, good side portions and noodle texture) but the meat was gristly. I left half of the beef behind. I also had a green juice to try and stay healthy, I needed a bit of pep and it worked! The Only Way To Watch The Footy At The Gabba – The Verandah!